I hadn’t posted any updates for the whole of October because of work. And because I bought XCOM: Enemy Unknown. But as I was updating my burndown chart I realized I’m behind schedule, so I had to postpone saving the Earth from aliens a little bit. 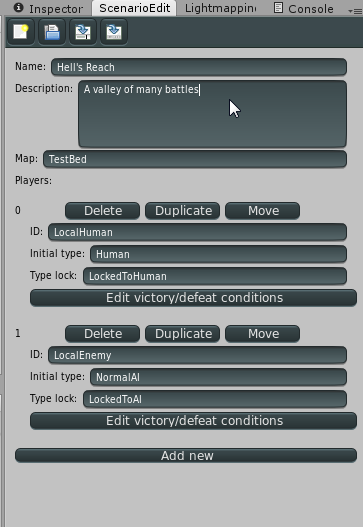 So I was concentrating on making a Scenario editor to make missions, and a mission/map selection screen for the player so he can choose the battle to fight. The scenario editor will be used to create different missions for the game. But I realized I need to answer the question that’s always important and pertinent: Is the game fun? And right now, no, I don’t think so. Because I only have a bunch of guys swinging their guns at each other, with mock values for damage and such. 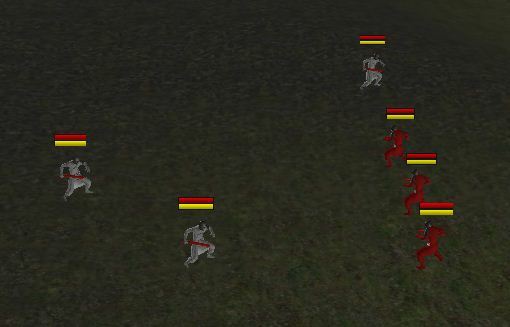 I need to make sure the game has something that the player can exercise tactics with. Right now I only have one unit type and it’s not even complete. Right now, there’s only the “Gunner” type, and he can’t even shoot yet! The “Gunner” actually holds a blunderbuss (shotgun) that he also clobbers enemies with. The design for the blunderbuss has horns for added melee damage. So I’m going to finish that and add more units. The “Scout” can move far but only holds a pistol. Other units carry so much armor and equipment that they can’t move through steep terrain. But the Scout can traverse them with ease. In the future, he’ll also be able to scale walls, jump across rooftops, and even have a grappling hook. The “Sharpshooter” is your standard ranged unit. He holds a rifle with both hands so he can’t do melee attacks. I have other ideas but those are the only ones that I’ll be doing for the moment. Here’s the shoot animation for the Gunner. I haven’t made a blunderbuss yet so he’s using the rifle as a test. This is not how to shoot a rifle.